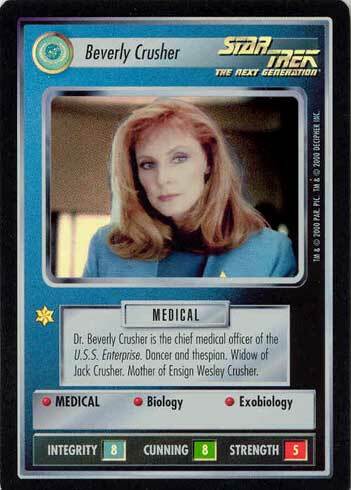 Dr. Beverly Crusher is the chief medical officer of the U.S.S. Enterprise. Dancer and thespian. Widow of Jack Crusher. 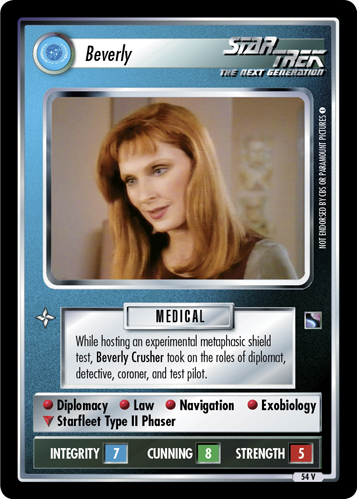 Mother of Ensign Wesley Crusher. Image Source: The Next Generation: "Homeward"